​​​It's 2019 and we have new events and discounted specials going on now! Click on the button above to check them out! Phone: 706.370.7594 (you will need to leave a message, we will return you call. We are pleased see your pets for basic medical care at our Dalton GA location. If your pet needs to see a veterinarian for a check up or for minor issues such as an ear infection, skin problems or just not feeling well please call to make an appointment 706-370-7594. You can also walk in for vaccinations, heartworm testing, medications or microchipping 9:00-12:00 and 2:30 - 5:30 Monday/Tuesday/Thursday/Friday, we will be open for an hour later on Tuesday's you can walk in between 2:30 - 6:30 (we close at 5:30 the first Tuesday of every month). We are closed on Wednesday's. 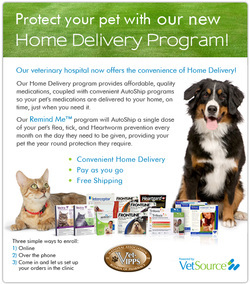 ﻿Offering low-cost, high-quality veterinary options to the community as a whole. Millions of pets do not receive adequate care due to the cost of services. This lack of access to affordable care has created an animal welfare crisis. We educate our communities in the importance of spaying/neutering to control the pet population as well as allowing clients to have their pets seen at the onset of a problem to keep pets where they belong in their home.﻿ We are passionate about providing high quality, low cost veterinary care to under served communities, thus reducing the number of animals entering shelters and being needlessly euthanized. Our mission is to end the tragedy of euthanasia due to pet over population and homelessness. We fulfill our mission by providing high-quality, affordable and accessible spay/neuter and basic medical services to communities where economic barriers may otherwise prevent pet owners and rescue groups from accessing those services. Your donation to National Spay Alliance Foundation helps us save lives. You can make a one-time donation or set-up a reoccurring donation. Every dollar goes to our mission on ending the tragedy of euthanasia due to pet over population and homelessness. For more information please go to our donation page. Please visit our Donation Information page for our wish list of items. You can also shop through Amazon and choose us as your charity! Amazon Smile will donate to us!